Have you heard that people who decorate early for the holidays are happier? Well thats apparently what the “experts” say, so I’m running with it! It’s one month until Christmas and our house is decorated, we’ve started our holiday baking and food prep and of course crafting! The only thing not up is our Christmas tree, which we will do in a couple weeks since we get a real tree. The other day we went on a family adventure to collect cedar boughs and yes, we did get our family photo done! Check last week’s post to read about my dilemma with taking a family photo in November. 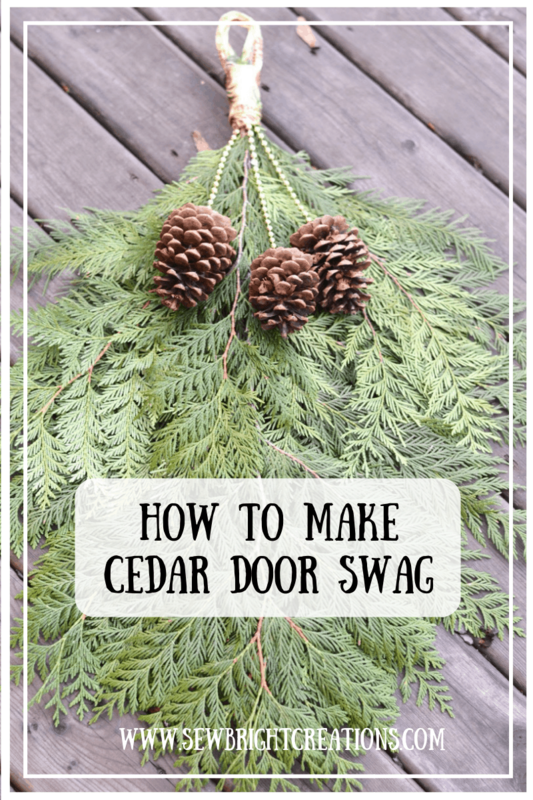 Today we used the cedar boughs to put together some festive door swag! It is simple, but oh so perfect for the holidays. 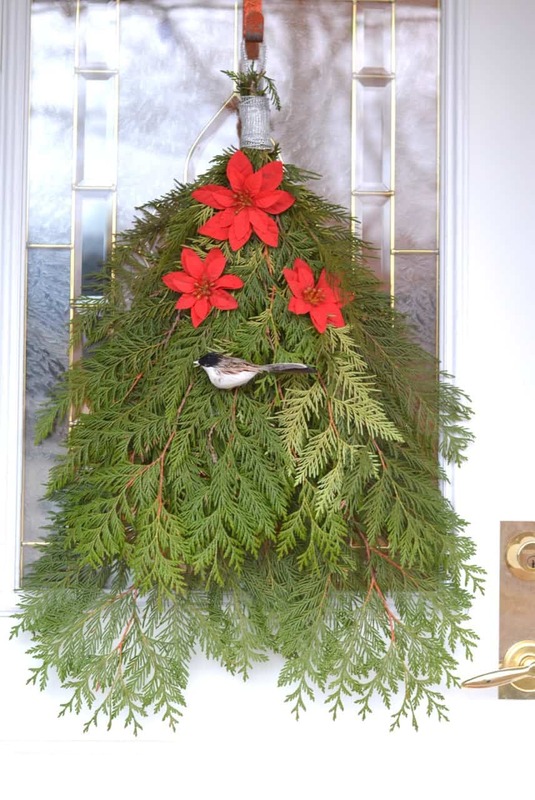 Keep it outside on your door and it will stay fresh for months! Nothing beats the smell of fresh cedar, or any other tree! 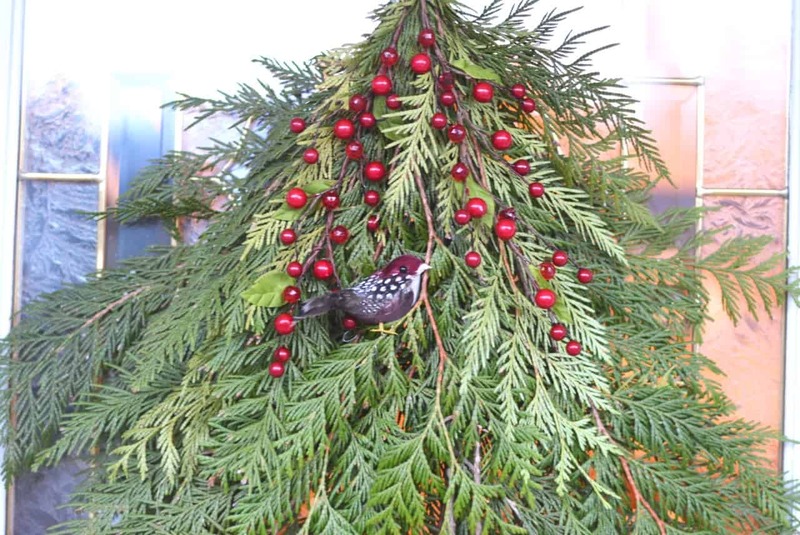 Last year we used spruce boughs. Substitute for whatever you are able to collect locally. Follow the simple steps below to make your own! 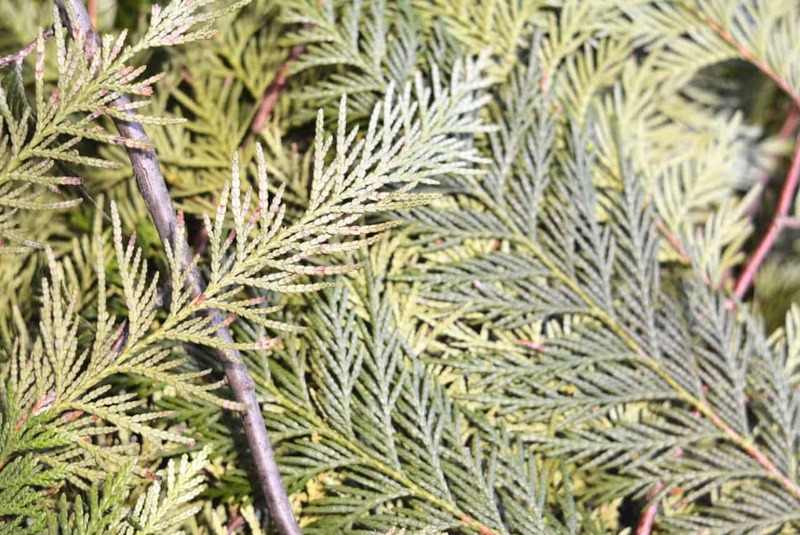 Trim whatever type of tree you are able to source locally. You can even mix and match with different types. Make sure to keep your trimmings outside (out of the rain/snow) to keep them fresh. 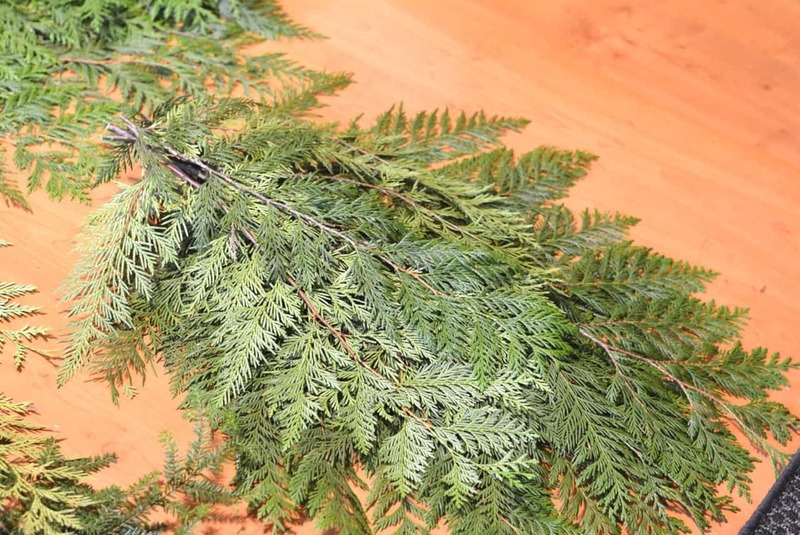 Lay boughs flat and place on top of each other. Place larger ones in the back and smaller ones on top. I did about 5-10 layers on each, depending the size of each bough. 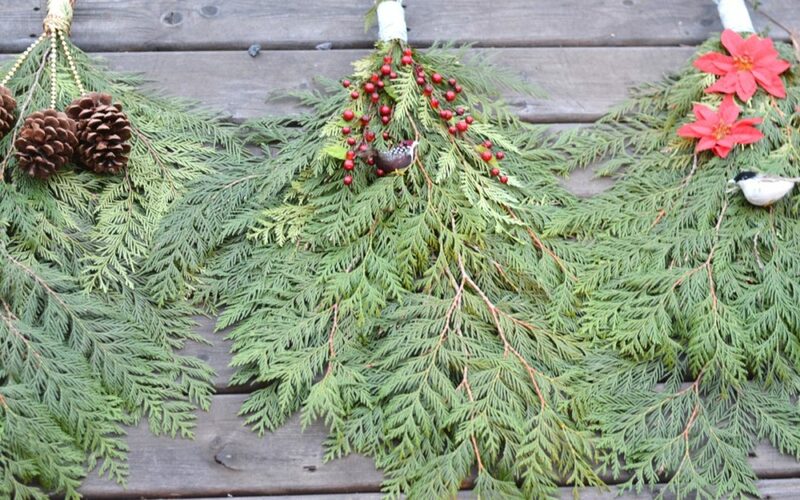 You can also flip some of the boughs to show a lighter green colour and add some depth. Once you have them all placed, trim the tops so they are the same length. We may have done this on our living room floor….however I would suggest it is more of an outside activity! 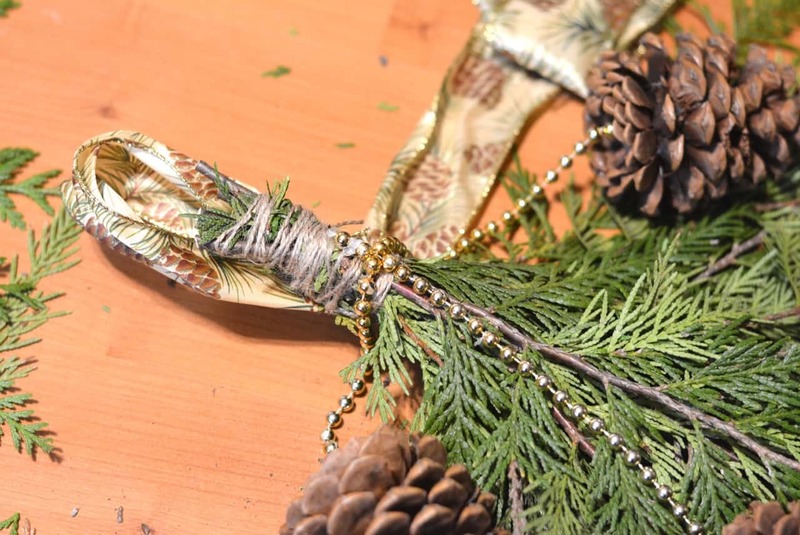 Use twine, thin wire or string to tie around the top. Make it tight to secure everything together. 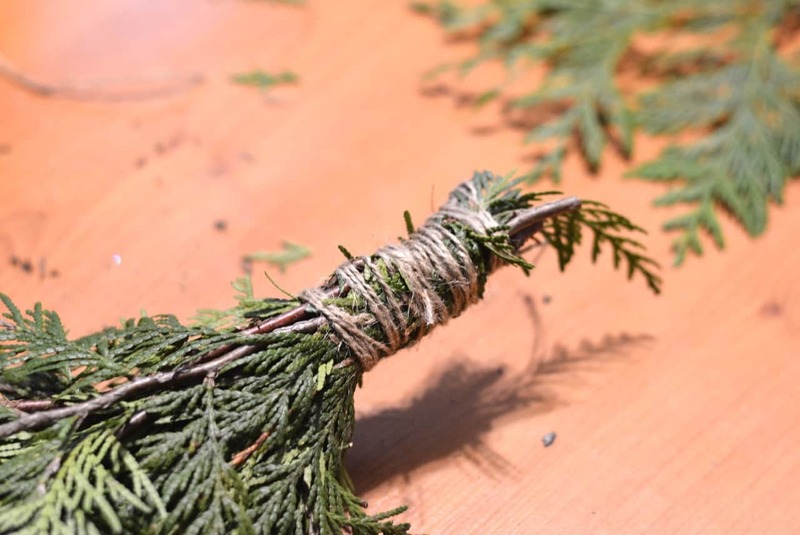 Wrap around several times to make a bit of a handle. Make a loop out of ribbon for hanging the swag when it’s done. I used a hot glue gun to make the loop then glued it to the back of the top handle part on the swag and wrapped the ribbon around, securing it at the end with hot glue. Add anything else in that you would like! 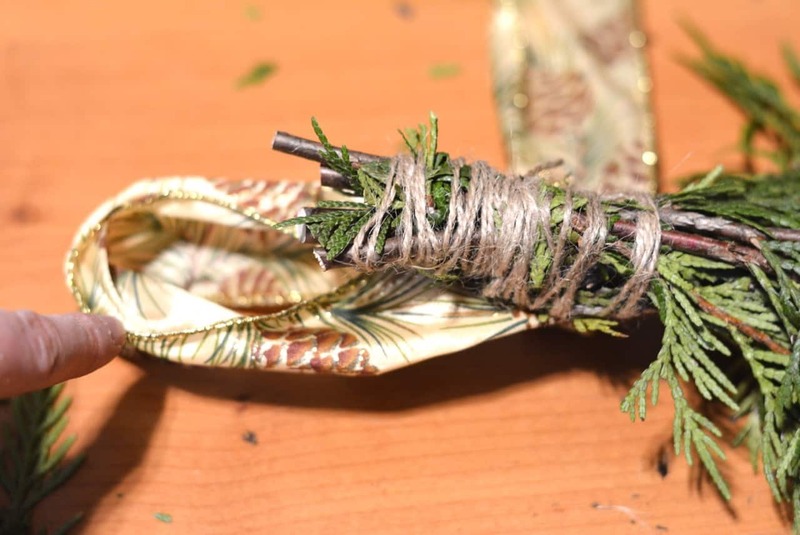 More pine cones, artificial flowers, beads, Christmas balls, birds or whatever treasures you find in your craft box! I’ll share a few links to some items below too. Here’s a few suggestions on where to get your own supplies! 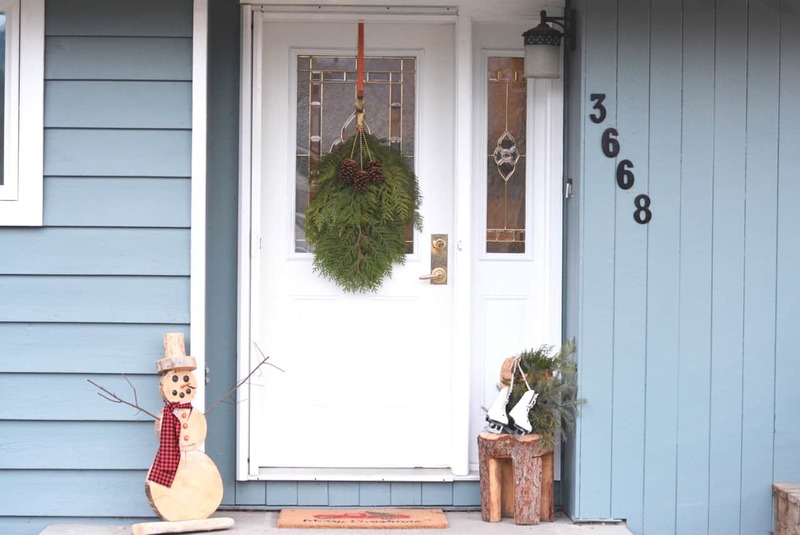 Door swag adds a great touch to your home and they also make lovely gifts! Use #sewbrightcreations when you share your door swag!